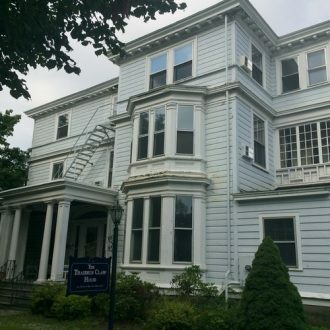 Historic buildings are beautiful, storied, and often filled with unique traits or unusual design. 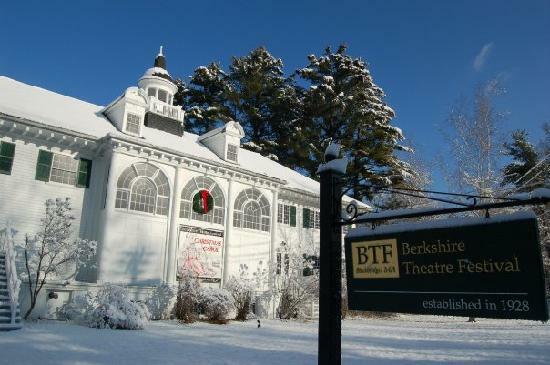 This can certainly be said of Berkshire Theatre Group’s Fitzpatrick Main Stage (formerly the Berkshire Playhouse) located in the equally historic and picturesque town of Stockbridge, MA. Famous actors and actresses of both stage and screen have tread the boards during the past 90 years of production history. Everything from comedies and classics, musicals and murder mysteries have graced the stage. Each world created by a team of designers. The Fitzpatrick Main Stage is more than a theatre. 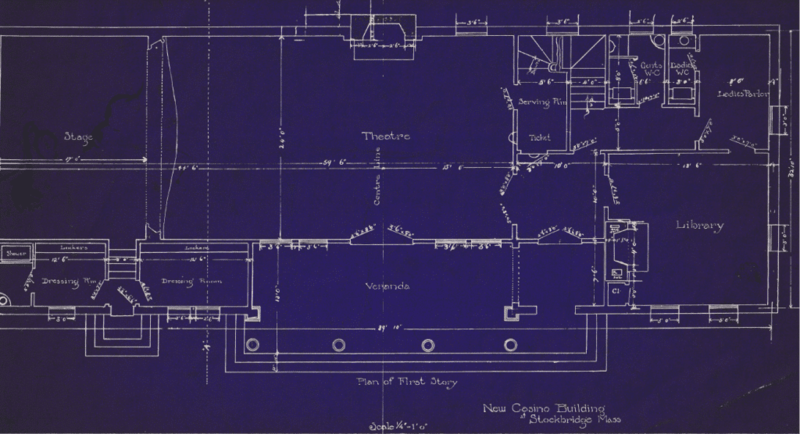 Originally designed as the Stockbridge Casino, it was a place for family entertainment complete with tennis courts, a library, a billiard room, parlor rooms, and a small stage for theatricals and variety performances. Eventually, the Casino closed due to a lack of members and was sold to the Three Arts Society. Plank by plank it was moved from Main Street to its current home at the bottom of Yale Hill Road. 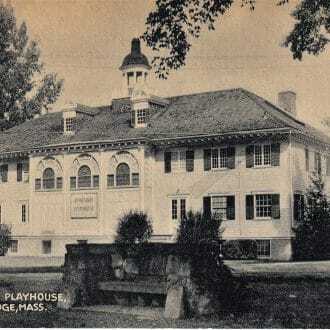 Thus the Berkshire Playhouse was born. Cast of Heartbreak House, 2004. Photo by Kevin Sprague. The Main Stage definitely has some unusual features that are challenging as well as inspiring. Most noticeably, there are two big columns in the middle of the stage…I wanted to incorporate the columns into the design, but in a way that was unexpectedly asymmetrical…The end result was a set design that felt very off-center and dynamic. In fact, standing on that set was a little disorienting because it was hard to tell where the center was, or the edge of the stage or the proscenium. Cast of The Petrified Forest, 2018. Photo by Emma K. Rothenberg-Ware. The columns onstage have a 1’ x 1’ footprint and rest approximately 12’ from the center of the proscenium arch on both stage left and stage right. The decision to hide or incorporate the columns is one every designer must make, and has led to some stunning and creative sets throughout the years. 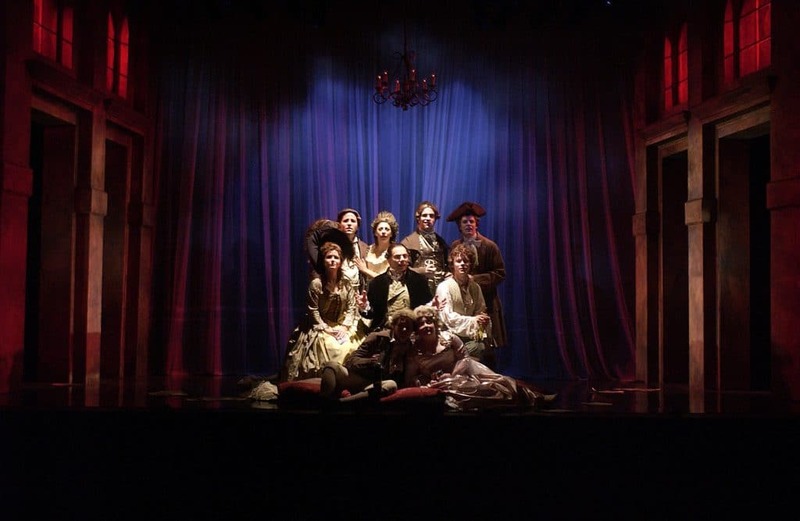 Cast of Amadeus, 2006. Photo by Kevin Sprague. The grid is relatively low…so the height between the actors and the actual lights is relatively low…it’s just a unique relationship…Even if borders are put in to mask the instruments, you always see some of it. So you have to be aware that the physical equipment is in the same world as the sets and the actors. Distinctive and inspired designs have adorned the Fitzpatrick Main Stage for 90 years. Each designer has enriched the legacy of the theatre, and embraced the challenges presented. 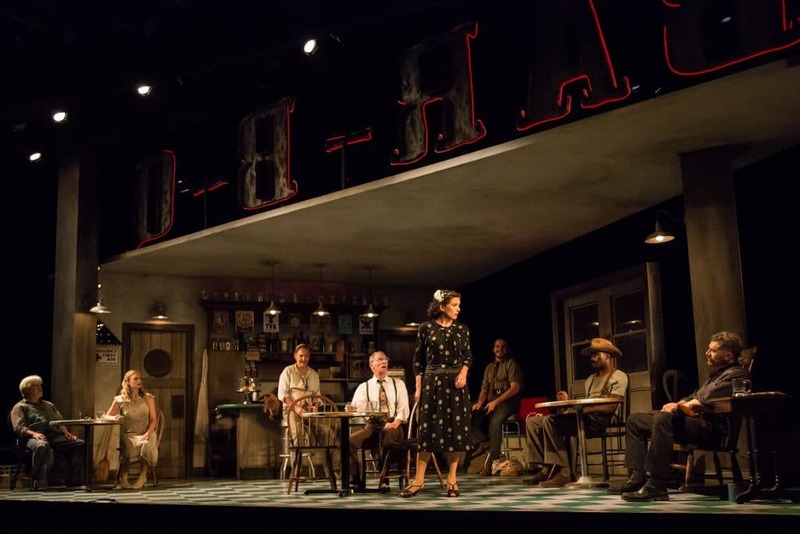 Exhilarating, innovative, and inspired works are sure to continue throughout the next 90 years of productions at Berkshire Theatre Group’s Fitzpatrick Main Stage.